In response to declare the year of 2018 as the ‘Year of Zayed’ to mark 100 years since the birth of the country’s Founding Father, Sheikh Zayed bin Sultan Al Nahyan, and to highlight his role in the establishment, building and rise of the UAE, in addition to his achievements regionally and globally. 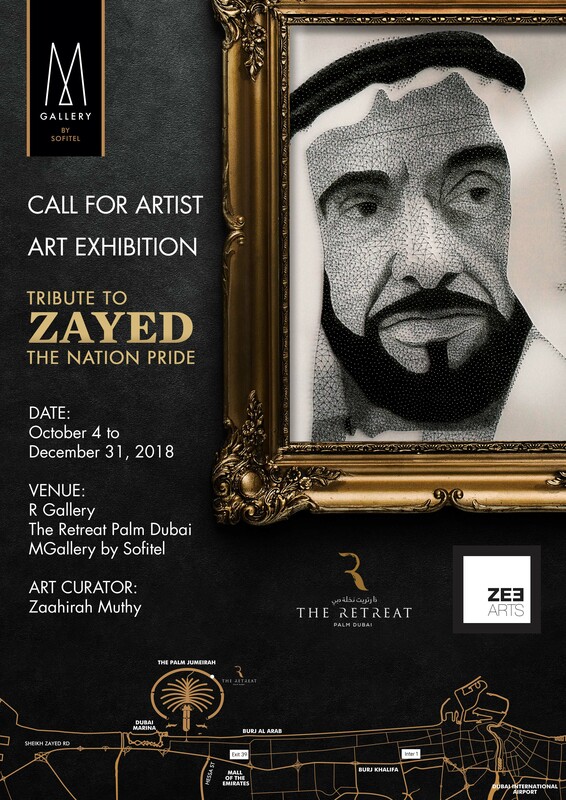 ZeeArts in collaboration with R Gallery, The Retreat Palm Dubai MGallery by Sofitel invite artists for an Art Competition to express their views and pay ‘Tribute to Zayed, the Nation Pride’. We will announce three winners during the opening of the exhibition on 4th October 2018. We would like to thank The Retreat Palm Dubai for sponsoring this art competition with amazing prizes.